Dr. Hatem al-Haj is a professor at Mishkah University’s College of Islamic Studies. He received his doctorate in Islamic Law from Al-Jinan University (Tripoli, Lebanon) and a Masters in Islamic Law from the American Open University, graduating in both with the highest honors. Dr. Hatem also has a medical degree from Alexandria University Medical School and is a board certified pediatrician. His scholarly work and teaching focuses mainly on Islamic Law. Aside from academic teaching, Dr. Hatem also often hosts community classes and lectures in various locations and serves as a Khateeb. 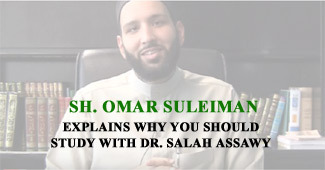 He answers diverse questions related to Fiqh and other Islamic matters on his personal website. As a practicing medical doctor he brings a unique and informed perspective on the juxtaposition of contemporary medical issues and Islamic law. His doctoral dissertation was titled “The Impact of Medical Advancements on Religious Edicts and Judgeship.” He is passionate about applying knowledge for a good cause and helped to found Building Blocks of Islam, a social services and educational organization that promotes community building by enlivening the Sunnah. Medical Board Certification in Pediatrics by the American Board of Pediatrics. Fiqh of Worship. Riyadh: IIPH. 2011. Print. A Manual for Gender Interactions. Riyadh: IIPH. 2014. Print. (‘Athār Al-Hajah fee Raf’ Al-‘Ithm ‘an Ba’ḍ ma Ya’ṭariḍ Al-‘Amileen fee Al-Qita’ Al-ṭibbee) “The Impact of Necessity in Removing the Sin from Some of the Healthcare Practices.” Majallat Al-Jinan, Al-Muhakkamah (Peer Reviewed). Feb. 2011. (Nadhariyyat At-Tahkeem fee Ash-Sharee’a) “The Theory of Arbitration in Shari’a Law.” Al-Fiqh wal Qanoon, Al-Muhakkamah (Peer Reviewed). May 2013. (Hukm ‘Isti’mal Al-Mokhadirat fee At-Tadawee) “The Ruling on Using Narcotics for Medical Treatment.” Al-Bohooth wal Dirasat Ash-Shar’iyyah, Al-Muhukkama (Peer Reviewed). Cairo. July 2013. (Al-‘Amal fee Al-Majal Al-Handasee) Labor in the Engineering Field. Majma’ Fuqaha’ Al-Shari’a. 2007. “Shari’ah in Today’s World: Renewing Islamic Discourse” YaqeenInstitute. Web. “Islam or Muhammadanism.” IslamOnLine. Web. “Sharia and Reform.” MuslimMatters. Web. “Reflections on Terrorism.” MuslimMatters. Web. “An Issue with Slavery.” MuslimMatters. Web.